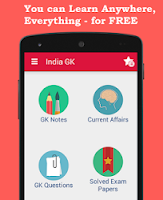 Gallantry Award 2018 Winners List: President Ram Nath Kovind on 25th January 2018 approved 390 gallantry awards and other Defence decorations for the Armed Forces personnel and others on the 69th Republic Day. 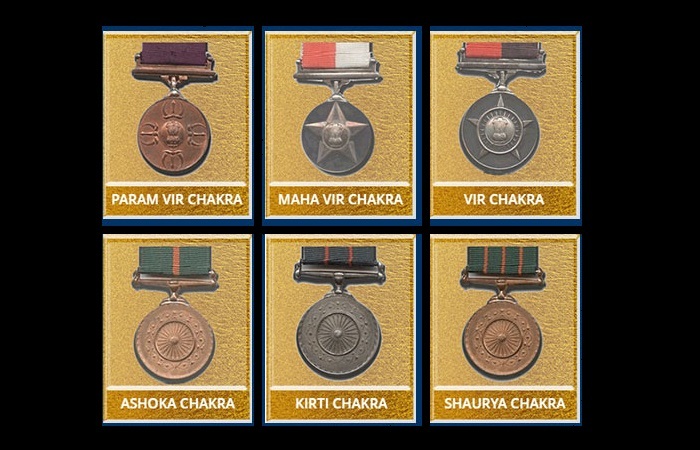 The awards include one Ashok Chakra, one Kirti Chakra, 14 Shaurya Chakras and 28 Param Vishisht Seva Medals, among others. 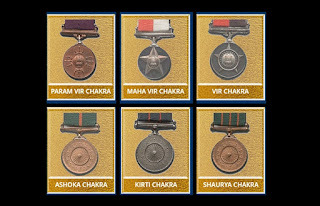 Others include four Uttam Yudh Seva Medals, two Bar to Ati Vishisht Seva Medals, 49 Ati Vishisht Seva Medals, 10 Yudh Seva Medals, two Bar to Sena Medals (Gallantry), 86 Sena Medals (Gallantry), one Nao Sena Medal (Gallantry), three Vayu Sena Medals (Gallantry), two Bar to Sena Medals (Devotion to Duty), 38 Sena Medals (Devotion to Duty), 13 Nao Sena Medals (Devotion to Duty), 14 Vayu Sena Medals (Devotion to Duty), one Bar to Vishisht Seva Medal and 121 Vishisht Seva Medals. Ashok Chakra has been awarded posthumously to Corporal Jyoti Prakash Nirala, a Garud commando of the Air Force, who died fighting terrorists in Bandipora of Jammu and Kashmir in November. Kirti Chakra has been awarded to Major Vijayant Bisht of the Army, who led an ambush in Chorgali forest of Jammu and Kashmir's Uri district, killed two terrorists and saved the life of another soldier during an ambush.